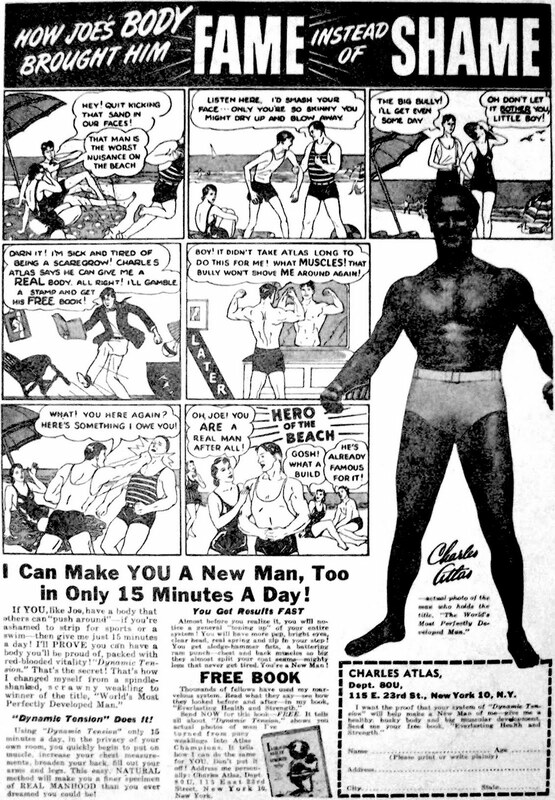 Kleefeld on Comics: Who Drew Charles Atlas? 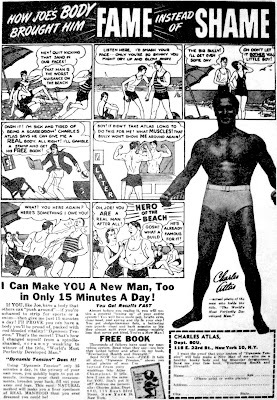 Charles Atlas (born Angelo Siciliano) became the fitness guru and was selling his fitness program booklets by 1930. He used print ads to sell his booklets (as it was essentially the only game in town back then) and began incorporating comic-style artwork as headers for the ads as early as 1937. The ad shown above was the first to primarily feature a comic strip and ran throughout much of the 1940s. They were written by Atlas' partner and ad expert, Charles Roman. He expertly made the distinction of selling "manliness" instead of health or fitness. The classic comic strip ads played that angle up even more than the decade of previous ads. So here's my question: who drew this? It's probably one of the most widely reprinted comics in North America, and I'll darned if I can find even a scrap of information about who put this first comic together!